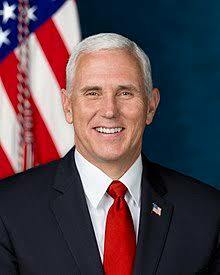 Vice President Michael Pence has said the United States government will invest $100 million to address key gaps toward achieving HIV epidemic control. He made the announcement on Thursday, adding that the government, through its President’s Emergency Plan for AIDS Relief (PEPFAR), would leverage the “unique capacities and compassion” of faith-based organizations and communities. The announcement came ahead of the World AIDS Day 2018 and the move, according to a statement, is part of measures to ensure justice for children. If the said amount is approved by the U.S.Congress and the fund made available, it would support innovative approaches to reaching young men, adolescent girls and young women, and HIV-positive children with HIV prevention and treatment services, Pence added. The effort will also aid efforts to prevent sexual violence against children, which significantly increases their risk of HIV infection. “We have made remarkable progress in the global AIDS response, but key gaps remain to reaching HIV epidemic control,” said M.D., U.S. Global AIDS Coordinator and Special Representative for Global Health Diplomacy,Ambassador Deborah L. Birx. As of September 30, 2018, working across 53 countries, PEPFAR is supporting over 14.6 million people on lifesaving antiretroviral treatment. It has enabled over 2.4 million babies to be born HIV-free to mothers living with HIV and supported over 6.8 million orphans, vulnerable children, and their caregivers. PEPFAR is the United States government’s response to the global HIV epidemic and has saved 17 million lives, prevented millions of HIV infections, and is accelerating progress toward controlling the HIV pandemic, according to the statement.